Just for You! Do you find 30 inches of antenna distracting to your car's appearance? 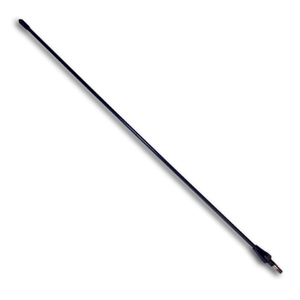 If so, you can now replace your Factory-installed long antenna with the MRT Shorty antenna (13.5" tall). Black in color and designed for an easy on and off install. No negative impact to radio reception. Call 734-455-5807 and mention The Mustang Source to purchase your shorty antenna for $19.99, includes US Ground Shipping through UPS.